Are you dreaming of buying a home in France but wondering about how to go about it? This guide will see you through the whole process, from choosing your new home to owning it. It is well worth using an Immobilier, or estate agent, who speaks English and has experience dealing with foreign buyers – they will be able to guide you through the purchasing process. Fortunately at 1st for french property it is a requirement of all our immobilier partners that they speak English. Make sure they belong to a registered body, such as FNAIM, SNPI or UNPI. Many close on Mondays and at lunch times, between 12:00 and 14:00, while Sundays are not normally considered viewing days in France. An estate agent might ask you to sign a Bon de Visite when viewing a certain property. This is to confirm to the seller which of several competing agencies showed it to you, should you decide to buy. Most French estate agencies charge around 6% of the sales price, but this can vary, from between 4% to as much as 10%. When the agent’s fee, or Frais d’Agence, is included, the price will be followed by the letters FAI which stand for Frais d’Agence Inclus. You may have decided the area you wish to live in due to having spent holidays there, but of course living somewhere and holidaying there are two different things. If possible, try basing yourself in your chosen area of France while you look at various properties. Renting during the winter will be cheaper and gives you a chance to see the area warts and all! Somewhere that’s lively and fun in the summer may feel quite different out of season, with shops and restaurants closing down in the winter months. Defining the type of property you want might take some thought – do you have the time and energy for major renovation works, or would you prefer somewhere you can move into straight away? Do you have a large family, and are expecting to entertain a lot, or are you looking for a bolthole, and somewhere to enjoy weekends away? If you would like some personal help with your French property search then complete our Help With Property Search form and our UK staff, in conjunction with our large network of English speaking agents in France, will start searching for your ideal property for you. Once you have found your ideal property, try to move as quickly as possible, as it may well be listed with several agencies, and there could be other buyers interested. This is why it’s a good idea to have your Currency trading account set-up un the UK already, our foreign exchange partners can help you do this. Negotiating below the asking price is standard practice in France, particularly if a property has been on the market for a while but be guided by your agent as the owners may well have already dropped the price to their comfortable level. In rural areas it’s worth asking the agent or local mairie to see the Plan Communale, or plans of the property and its surrounding land, to ensure that no planning permission has been granted for anything close by. If there are any queries as to the boundaries of the property, or if new ownership boundaries are being created, it may be necessary to appoint a land surveyor to determine them – the agent should be able to help with this. 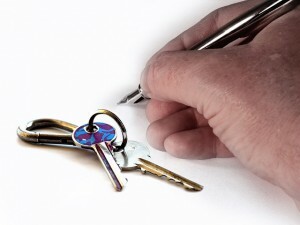 Once your offer has been accepted, the first stage is to sign the Compromis de Vente. 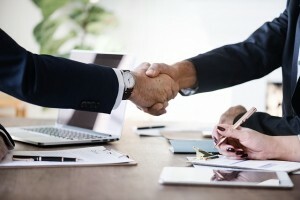 This is a binding agreement and is secured by a deposit, usually 10% of the agreed price, although less may be acceptable – there is no legal minimum percentage deposit. It is paid directly to the notaire, who holds it in an escrow account until completion. Again our FX partner can help you arrange this transfer of Euros to the Notaire. The Compromis de Vente will also include a target date for the signing of the final contract, or Acte de Vente. The whole process usually takes around three months. In France, notaires are public officials whose duties are to the state. Their function is to ensure that the transaction is carried out legally and in accordance with the proper processes, and to give the transaction validity that cannot be contested. As such, with most house purchases, the notaire acts on behalf of both the buyer and the vendor. You may, however, use your own notaire at no extra cost, with the fees split between both, but this may turn out to be less efficient in the end. 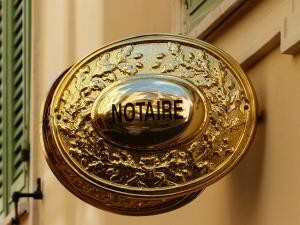 The notaire may ask you to provide your passport and in some cases birth, marriage or divorce certificates while drawing up the contract. Remember that all legal documents will be in French, but it’s possible to obtain a professional translation by an officially registered translator, or even to hire an interpretor, if necessary, both at an additional cost. Having signed the Compromis de Vente, a copy is sent to both parties by registered mail. On receipt of this letter, there is then a ten day ‘cooling off’ period, during which time the buyer can pull out without penalty. To do this, they must send a recorded delivery letter to the notaire within the ten days, and the notaire will refund their deposit. Legally the vendor cannot pull out – but in the case of Tim and Fatima Jennings, they threatened to do so. While surveys might not be usual in France, vendors are obliged to provide up-to-date reports detailing any presence of asbestos, lead and termites, as well as energy efficiency, natural risks, gas installations, waste drainage and electrics. These are presented in a Dossier Diagnostique Technique, or DDT, and attached to the Compromis de Vente. Property vendors with swimming pools are obliged to commission a report on the safety features of the pool. Once the Compromis de Vente has been signed, the notaire begins the legal process, which means searches on the property, including land registry rights, boundaries and rights of way. These enquiries normally take between six to eight weeks. There are three different forms of ownership of French property, each with implications for French inheritance laws. Depending on your circumstances, you can own the property en indivision, en tontine or through a property company called a Société Civile Immobilière (SCI). En Indivision is the most common option of joint ownership. This is similar to the English ‘tenancy in common’, and means that the property is bought in equal parts, and should one partner die, their half-share is transferred to any children rather than their partner. 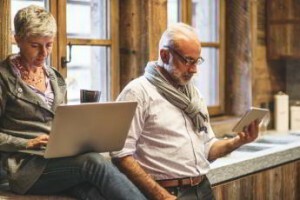 To avoid this, a couple may buy their property en tontine, which is similar to an English ‘joint tenancy’, and ensures that the surviving partner inherits the other share and gains full control over the property. The third way is to establish a company to buy the property. There are various options but the most common is the Société Civile Immobilière (SCI). This is a a property-holding partnership, constituted for the ownership and management of property, through which the owners effectively become non-paying tenants or occupants of their home. Once all the local searches have been carried out, the buyer must deposit the balance of funds with the notaire and pay the frais de notaire, or lawyer’s fees, of around 6 – 8% of purchase price. These consist mostly of stamp duties and registration taxes, with notaire‘s actual payment being around just 1%. In the case of a brand new property, the charges are less, but VAT is payable on the purchase price. Completion takes place in the notaire‘s office, where Acte de Vente, sometimes known as Acte Authentique, or deed of sale, is signed. If the buyer can’t be there for any reason, a power of attorney may be used. The final contract has a clause saying ‘sold as seen on signing date’, so it’s worth checking that the property is exactly as you expect it to be, with nothing missing. There may certainly be adventures as you set out to find and buy your dream property in France, but as the Jennings and the Greens have found out, the rewards are well worth it in the end. Start finding your dream home in France today by browsing our property listings.